Perhaps the outcome would have been different if Mr. Washington’s doctors had measured his blood count (hemoglobin/hematocrit), serum iron and ferritin levels during the blood letting procedure so they would know when to stop, Unfortunately, modern medicine arrived too late to save Mr. Washington from his overzealous doctors. Is There a Health Benefit to Donating Blood Regularly? Some people actually make a practice of donating blood at the blood bank on a regular basis. Afterwards, one might feel good about doing such a “good deed”. You might also wonder if there is a health benefit to donating blood on a regular basis. A study from Finland says there is. In a study done in 1997 in Finland, people who regularly donated blood at the blood bank had an 88% decrease in myocardial infarction. (1) This study from Helsinki Finland included 2,862 males aged 42-60 followed for 9 years. Heart attack rates for blood donors was only 0.7%, compared to 12.5% for non-donors. Left image : The Kallahti nature conservation area in Helsinki Finland courtesy of wikimedia commons. I was intrigued by this information which I learned from Jonathan V. Wright MD in his April newsletter and again presented during his workshop at the Orlando A4M meeting in April 2013. Or is cardio-protection a result of higher estrogen levels in women? Or, is it both factors? Left Image: soldier in the army donating blood. Image courtesy of wikimedia commons. A genetic disease in which iron accumulates in the body, with high serum iron and serum ferritin, is called hemochromatosis. and carriers of the gene are at increased risk for heart attack risk(4). One study showed the risk of heart attack was doubled over 9 years in Hemochromatosis gene carriers. (4) Hemochromatosis is treated with weekly or monthly donations at the blood bank to reduce iron and ferritin levels. Why is Donating Blood Beneficial? The explanation for the beneficial effect of donating blood at the blood bank includes a reduction of iron stores (3). Iron is oxidative, so any reduction of iron reduces oxidative stress in the body. The 2007 randomized trial of blood letting by Dr Leo Zacharski on patients in the VA hospital system cast doubts on the benefit of iron reduction, failing to show significant benefit for cardiovascular end points. (16) There are a number of problems with this study. Firstly. patients donated blood only twice a year. In my opinion visits to the blood bank every 4 to 8 weeks would be more useful. Secondly the patient population already had documented arterial disease. Instituting a preventive measure after onset of disease is not likely to work. Thirdly, the VA population of heavy smokers and alcohol drinkers, lifestyle factors may dwarf any benefit of reduction of iron stores. Fourth, if one examines the data charts for the study (Fig 2 below) one actually finds a mortality benefit in the iron reduction group. Notice the darker line (iron reduction) clearly separates from control group after three years with greater separation over time. Fifth, benefits are more apparent in younger patients than in elderly patients, as was pointed out by the authors..
60% reduction in mortality from iron reduction in 43-61 year old group !!!! Avoid the newer apheresis machines, simply donate whole blood into a bag the old way, without recirculating any fluids back into the vein. The automated machines recirculate anticoagulants, and other unknown chemicals leached from the tubing back into the vein. It is safer to avoid this by donating the old way straight into a collection bag. 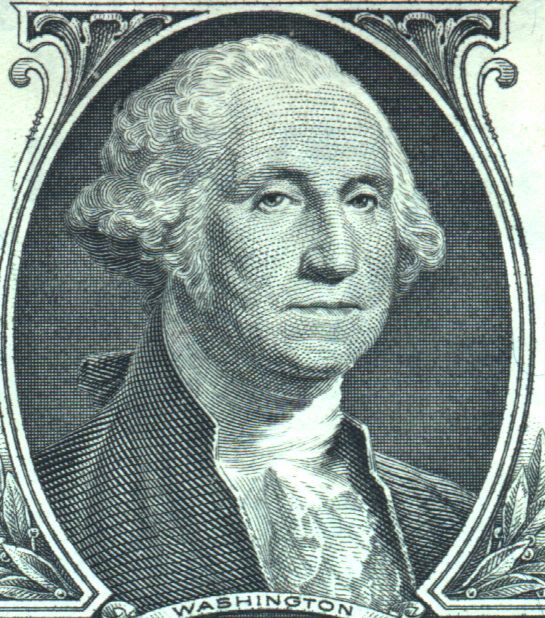 Conclusion: George Washington’s doctors were not completely wrong in their belief in a health benefit from Blood Letting. Unfortunately, in olden days, doctors did not have modern lab equipment to monitor blood count. As a result, they did not know when to stop the blood removal procedure, leading to demise of the patient from excessive blood loss. Currently, medical studies have renewed interest in the health benefits of regular blood donation. For safety, we carefully monitor hemoglobin, hematocrit, serum iron and ferritin levels. Trips to the blood bank are discontinued when these levels fall into acceptable range. Am J Epidemiol. 1998 Sep 1;148(5):445-51. Donation of blood is associated with reduced risk of myocardial infarction. The Kuopio Ischaemic Heart Disease Risk Factor Study. Salonen JT, Tuomainen TP, Salonen R, Lakka TA, Nyyssönen K. Research Institute of Public Health, University of Kuopio, Finland. Because high body iron stores have been suggested as a risk factor for acute myocardial infarction, donation of blood could theoretically reduce the risk by lowering body iron stores. For this reason, the authors tested the hypothesis that voluntary blood donation is associated with reduced risk of acute myocardial infarction in a prospective epidemiologic follow-up study in men from eastern Finland. The subjects are all participants of the Kuopio Ischaemic Heart Disease Risk Factor Study. A cohort of 2,862 men aged 42-60 years were followed for an average of almost 9 years. One man (0.7%) out of 153 men who had donated blood in 24 months preceding the baseline examination experienced an acute myocardial infarction during 1984 to 1995, whereas 316 men (12.5%) of 2,529 non-blood donors had an acute myocardial infarction (p < 0.0001 for difference between proportions). In a Cox proportional hazards model adjusting for age, examination years and all other predictive coronary disease risk factors, blood donors had a 88% reduced risk (relative hazard = 0.12, 95% confidence interval 0.02-0.86, p = 0.035) of acute myocardial infarction, compared with non-blood donors. These findings suggest that frequent blood loss through voluntary blood donations may be associated with a reduced risk of acute myocardial infarction in middle-aged men. Department of Internal Medicine, Kansas University College of Medicine, Kansas City 66160-7378, USA. BACKGROUND: The iron hypothesis suggests that females are protected from atherosclerosis by having lower iron stores than men, thus limiting oxidation of lipids. OBJECTIVE: To test the iron hypothesis by comparing cardiovascular event rates in whole blood donors compared with nondonors. DESIGN: Prospective cohort with telephone survey follow up. SETTING: The State of Nebraska, USA. PARTICIPANTS: A sample was selected from the Nebraska Diet Heart Survey (NDHS) restricting for age > or = 40 years and absence of clinically apparent vascular diseases at time of enrollment in to NDHS (1985-87). MAIN OUTCOME MEASURES: The occurrence of cardiovascular events (myocardial infarction, angina, stroke), procedures (angioplasty, bypass surgery, claudication, endarterectomy), nitroglycerin use, or death (all cause mortality), and level of blood donation. RESULTS: Participants were 655 blood donors and 3200 non-donors who differed in education, physical activity, diabetes, and frequency of antihypertensive treatment; 889 were lost to follow up. Sixty four donors and 567 non-donors reported cardiovascular events (crude odds ratio = 0.50, 95% confidence interval (CI) 0.38-0.66). The benefit of donation was confined to non-smoking males (adjusted odds ratio 0.67, 95% CI 0.45-0.99). Benefit was limited to current donors (the most recent three years). No additional benefit resulted from donating more than once or twice over three years. CONCLUSION: In support of the iron hypothesis, blood donation in non-smoking men in this cohort was associated with reduced risk of cardiovascular events. A randomised clinical trial is warranted to confirm these findings as the observed personal health benefit of donation has public policy ramifications. Association between body iron stores and the risk of acute myocardial infarction in men. Tuomainen TP, Punnonen K, Nyyssönen K, Salonen JT. Research Institute of Public Health and the Department of Public Health and General Practice, University of Kuopio, Finland. Epidemiological evidence concerning the role of iron, a lipid peroxidation catalyst, in coronary heart disease (CHD) is inconsistent. We investigated the association of the concentration ratio of serum transferrin receptor to serum ferritin (TfR/ferritin), a state-of-the-art measurement of body iron stores, with the risk of acute myocardial infarction (AMI) in a prospective nested case-control study in men from eastern Finland. Transferrin receptor assays were carried out for 99 men who had an AMI during an average 6.4 years of follow-up and 98 control men. Both the cases and the controls were nested from the Kuopio Ischemic Heart Disease Risk Factor Study (KIHD) cohort of 1931 men who had no clinical CHD at the baseline study. The controls were matched for age, examination year, and residence. AMIs were registered prospectively. Soluble transferrin receptors were measured by immunoenzymometric assay and ferritin concentration by radioimmunoassay from frozen baseline serum samples. The mean TfR/ferritin ratio was 15.1 (SE, 2.0) among cases and 21.3 (SE, 2.2) among controls (P=.035 for difference). In logistic regression models adjusting for other strongest risk factors for AMI and indicators of inflammation and alcohol intake, men in the lowest and second lowest thirds of the TfR/ferritin ratio had a 2.9-fold (95% CI, 1.3 to 6.6, P=.011) and 2.0-fold (0.9 to 4.2, P=.081) risk of AMI compared with men in the highest third (P=.010 for trend). CONCLUSIONS: These data show an association between increased body iron stores and excess risk of AMI, confirming previous epidemiological findings. Increased risk of acute myocardial infarction in carriers of the hemochromatosis gene Cys282Tyr mutation : a prospective cohort study in men in eastern Finland.Tuomainen TP, Kontula K, Nyyssönen K, Lakka TA, Heliö T, Salonen JT. Research Institute of Public Health, University of Kuopio, Kuopio, Finland.Background-Homozygosity for a relatively common Cys282Tyr mutation of the human hemochromatosis-associated (HFE) gene was recently found to account for most cases of hereditary hemochromatosis. Because excess iron has been postulated to enhance risk of vascular disease, we studied whether occurrence of this mutation was associated with increased risk of first acute myocardial infarction in healthy middle-aged men in a prospective cohort study. Methods and Results-Study subjects were the 1150 participants in the population-based Kuopio Ischemic Heart Disease Risk Factor Study (KIHD), aged 42, 48, 54, or 60 years at baseline, who had no coronary heart disease at baseline and for whom a DNA sample was available. Information about myocardial infarctions was collected prospectively by use of FINMONICA (FINnish MONItoring of trends and determinants in CArdiovascular disease study) and hospital data. Events were classified by MONICA (MONItoring of trends and determinants in CArdiovascular disease study) diagnostic criteria. The HFE Cys282Tyr mutation was assayed by a solid-phase minisequencing technique. One subject was homozygous and 76 individuals were heterozygous for the HFE Cys282Tyr mutation (6.7%). During a mean follow-up of 9 years, 8 (10.4%) of 77 carriers and 60 (5.6%) of 1073 noncarriers experienced an acute myocardial infarction. In a Cox proportional hazards model allowing for the other strongest risk factors, the carriers had a 2.3-fold (95% CI 1. 1 to 4.8; P=0.03) risk of acute myocardial infarction compared with noncarriers. Conclusions-Male carriers of the common hemochromatosis gene mutation are at 2-fold risk for first acute myocardial infarction compared with noncarriers. Roest M, van der Schouw YT, de Valk B, Marx JJ, Tempelman MJ, de Groot PG, Sixma JJ, Banga JD. SourceJulius Center for Patient Oriented Research, Utrecht University Medical School, The Netherlands. Background-The genetic background of hereditary hemochromatosis (HH) is homozygosity for a cysteine-to-tyrosine transition at position 282 in the HFE gene. Heterozygosity for HH is associated with moderately increased iron levels and could be a risk factor for cardiovascular death. Methods and Results-We studied the relation between HH heterozygosity and cardiovascular death in a cohort study among 12 239 women 51 to 69 years of age residing in Utrecht, the Netherlands. Women were followed for 16 to 18 years (182 976 follow-up years). The allele prevalence of the HH gene in the reference group was 4.0 (95% CI 2.9 to 5.4). The mortality rate ratios for HH heterozygotes compared with wild types was 1.5 (95% CI 0.9 to 2.5) for myocardial infarction (n=242), 2.4 (95% CI 1.3 to 3. 5) for cerebrovascular disease (n=118), and 1.6 (95% CI 1.1 to 2.4) for total cardiovascular disease (n=530). The population-attributable risks of HH heterozygosity for myocardial infarction and cerebrovascular and total cardiovascular death were 3.3%, 8.8%, and 4.0%, respectively. In addition, we found evidence for effect modification by hypertension and smoking. Conclusions-We found important evidence that inherited variation in iron metabolism is involved in cardiovascular death in postmenopausal women, especially in women already carrying classic risk factors. Arterioscler Thromb Vasc Biol. 2005 Aug;25(8):1577-83. Epub 2005 Jun 16.Iron stores and vascular function in voluntary blood donors.Zheng H, Cable R, Spencer B, Votto N, Katz SD. Forty high-frequency voluntary blood donors (> or =8 donations in past 2 years) and 42 low-frequency blood donors (1 to 2 donations in past 2 years) aged 50 to 75 years were randomly selected from American Red Cross of Connecticut blood donor records. Flow-mediated dilation in the brachial artery, serum markers of iron stores, vascular inflammation and oxidative stress, and cardiac risk factors were assessed in all subjects. Serum ferritin was significantly decreased in high-frequency blood donors when compared with low-frequency blood donors (median values 17 versus 52 ng/mL; P<0.001), but hematocrit did not differ between groups. Flow-mediated dilation in the brachial artery was significantly greater in high-frequency donors when compared with low-frequency donors in univariate analysis (5.5+/-2.6% versus 3.8+/-1.6%; P=0.0003) and in multivariate analysis adjusting for cardiac risk factors and other potential confounders. Serum biomarkers of vascular inflammation did not differ between groups but 3-nitrotyrosine, a marker of oxidative stress, was decreased in high-frequency donors when compared with low-frequency donors. CONCLUSIONS: High-frequency blood donors had evidence of decreased body iron stores, decreased oxidative stress, and enhanced vascular function when compared with low-frequency donors. These findings support a potential link between blood donation and reduced cardiovascular risk that warrants further investigation in prospective outcome studies. Determinants of serum ALT normalization after phlebotomy in patients with chronic hepatitis C infection. Kawamura Y, Akuta N, Sezaki H, Hosaka T, Someya T, Kobayashi M, Suzuki F, Suzuki Y, Saitoh S, Arase Y, Ikeda K, Kumada H.
Department of Gastroenterology, Toranomon Hospital, 2-2-2 Toranomon, Minato-ku, Tokyo 105-8470, Japan. Phlebotomy is performed to reduce excessive iron accumulation in hepatic tissue. We studied serum alanine aminotransferase (ALT) normalization rates and 50% reduction in initial serum ALT (ALT(50%) reduction rate) in patients with hepatitis C viral (HCV) infection and investigated the factors that influenced the response to phlebotomy therapy. We evaluated 23 consecutive patients with HCV infection who underwent phlebotomy. Phlebotomy was performed a few times per week, then a few times per month, and 200-400 ml of blood was removed at each session, depending on the clinical response. During the course of therapy, hemoglobin (Hb), serum ALT, and ferritin levels were assessed monthly. RESULTS: In patients with Hb of less than 11 g/dl, the ALT(50%) reduction rate was 87.5%. In patients with a serum ferritin level of less than 10 g/dl the ALT(50%) reduction rate was 83.3%. In patients with Hb of less than 11 g/dl, the ALT normalization rate was 50%, and in those with a serum ferritin level of less than 10 g/dl, the ALT normalization rate was 41.7%. Multivariate analysis identified ALT less than 100 IU/l at the start of phlebotomy as an independent factor associated with ALT normalization. Of the 7 patients who showed no response to phlebotomy, 85.7% were obese (body mass index > or =25 kg/m(2)), and 40% showed more than 30% steatosis on liver histology. The cumulative ALT normalization rate in relation to the total volume of blood loss was 43.9% with a blood less or more than 3 l, and thus was optimal above 3 l.
CONCLUSIONS: Although the sample number was relatively small, the results of our study suggest that phlebotomy is effective therapy for HCV patients who are nonobese, show little or no steatosis on liver histology, and have a baseline serum ALT level of less than 100 IU/l. 11) Vinchi, Francesca, et al. “Atherogenesis and iron: from epidemiology to cellular level.” (2014). 16) Zacharski, Leo R., et al. “Reduction of iron stores and cardiovascular outcomes in patients with peripheral arterial disease: a randomized controlled trial.” Jama 297.6 (2007): 603-610. Intervention Patients were assigned to a control group (n = 641) or to a group undergoing reduction of iron stores by phlebotomy with removal of defined volumes of blood at 6-month intervals (avoiding iron deficiency) (n = 636), stratified by hospital, age, and baseline smoking status, diagnosis of diabetes mellitus, ratio of high-density to low-density lipoprotein cholesterol level, and ferritin level. Main Outcome Measures The primary end point was all-cause mortality; the secondary end point was death plus nonfatal myocardial infarction and stroke. Results There were no significant differences between treatment groups for the primary or secondary study end points. All-cause deaths occurred in 148 patients (23%) in the control group and in 125 (20%) in the iron-reduction group (hazard ratio (HR), 0.85; 95% confidence interval (CI), 0.67-1.08; P = .17). Death plus nonfatal myocardial infarction and stroke occurred in 205 patients (32%) in the control group and in 180 (28%) in the iron-reduction group (HR, 0.88; 95% CI, 0.72-1.07; P = .20). Conclusion Reduction of body iron stores in patients with symptomatic PAD did not significantly decrease all-cause mortality or death plus nonfatal myocardial infarction and stroke. The Cox model showed improved primary (HR 0.47, 95% CI 0.24-0.90,P= .02) and secondary (HR 0.41, 95% CI 0.24-0.68,Pb.001) outcomes in youngest age quartile patients (age 43-61years) randomized to iron reduction versus control. Thus,an interaction between age and level of body iron may have masked beneficial effects of iron reduction in the overall cohort. 19) Zacharski, Leo R. “Ferrotoxic disease: the next great public health challenge.” (2014): 1362-1364. 20) Ellervik, Christina, et al. “Total and cause-specific mortality by moderately and markedly increased ferritin concentrations: general population study and metaanalysis.” Clinical chemistry 60.11 (2014): 1419-1428. CONCLUSIONS: Moderately to markedly increased ferritin concentrations represent a biological biomarker predictive of early death in a dose-dependent linear manner in the general population. Left upper image: A road at the Kallahti nature conservation area in Helsinki, Finland. The Kallahti area contains an esker and land area rising slowly from the sea (a large glacier in the ice age has pressed the earth, which is still slowly rising). The nature conservation area is part of European Natura 2000 nature conservation program. There are 40 nature conservation areas in the City of Helsinki. Suomi: Tie Kallahden luonnonsuojelualueelle Helsingissä courtesy of wikimedia commons. This entry was posted in blood bank, donating blood, Heart Disease, myocardial infarction and tagged blood bank, donating blood, ferritin, myocardial infarction by Jeffrey Dach MD. Bookmark the permalink. I’ve had Lyme and other tick borne diseases many times and cannot give blood (been trying for 10’s of years). How do people like me reduce our iron loading? Chelation therapy? Its easy, ask your doctor for a script for a phlebotomy with instructions to discard the blood. When you wrote this, did you consider the findings of Ascherio et al (“Blood Donations and Risk of Coronary Heart Disease in Men” Circulation 2001;103:52-57 http://circ.ahajournals.org/content/103/1/52) using the Health Professionals Follow-up Study? As someone who has donated blood regularly as a matter of principle most of my life I would love to believe in collateral health benefits for this practice, but Ascherio’s results look pretty negative. Has there been any further follow-up or refinement of his work that changes that picture?